For each generation of iPhone, Apple will use the latest A series chips, and to enhance performance. iPhone 8 is no exception. It is said that iPhone 8 will use A11 chip. In addition, iPhone8 will use glass design, and add the function of wireless charge. Anyway, as the faithful fans for iPhone, I will buy iPhone 8. But then, I have been faced with a problem. Every time I buy a new iPhone, I will back up the old iPhone data to iCloud and iTunes. However, I do not know how to extract some of data from these iTunes or iCloud backups to the new iPhone. There are some data that can be reused, such as contacts, photos and so on, these data can be extended to the new iPhone. So, I hope I can solve this problem and use these data in my iPhone 8. How can I transfer data from iCloud/iTunes Backup to iPhone 8? You can use Mobile Transfer. As the name suggests, this is an all-in-one data transfer software. The software can not only help you transfer data from one phone to another phone, it can also help you transfer iCloud and iTunes backup to the phone. It will support you to transfer contacts, SMS, photos, videos, music and other data from iCould and iTunes backup. The software provides you with a simple way, you can easily transfer data. In addition, the software is safe, your data will not be compromised. Well, then I will show you how to use Mobile Transfer to transfer iCloud and iTunes backup in two parts. First of all, download, install and run the Mobile Transfer on your computer. Use the USB cable to connect your iPhone 8 to your computer. When your phone is successfully connected to the computer, find and click "Restore from Backups" and select "iCloud" from the main interface. Then you need to log in to your iCouls account in the left window. Then you will be able to see all the iCloud backups. Before you transfer these backups, you will need to download them, which will take you a few minutes. 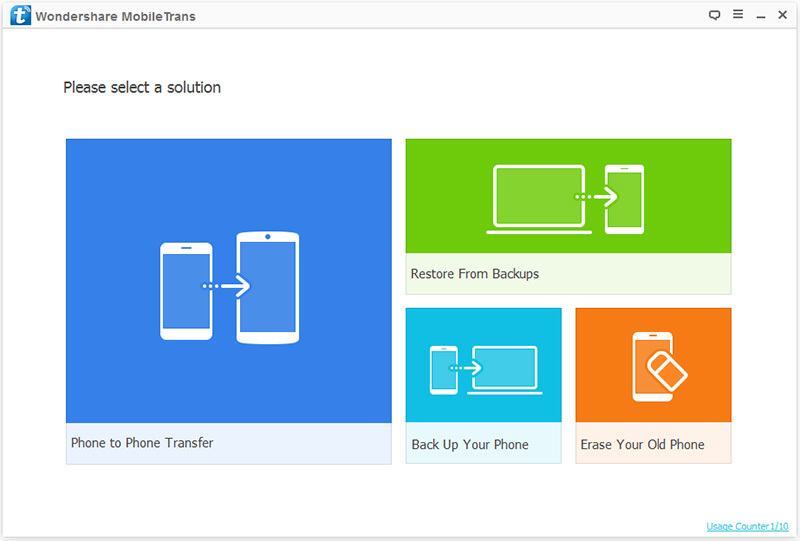 When the iCould backup is downloaded, you can click "Start Transfer" to transfer the iCould backup. You can choose to clear the original data in iPhone 8, you just need to check the "Clear data before copy" box below the iPhone 8. Please note that in the course of the transfer does not disconnect the connection between iPhone 8 and the computer. As the same, please select "Restore from Backups" and click "iTunes" from the options and connect your iPhone 8 to your computer. Next, select an iTunes backup from the list and select the file you want to transfer in the middle of the option. Then, click "Start Transfer". If you want to clean up the original data in iPhone 8, you can check the "clear data before copy" box below the iPhone 8.